I had asked if we were having a Virtual Quilt Day on another thread and there was interest in having one. So hopefully, I'm not stepping on anyone's toes by doing this... But consider this your invitation to join in on Virtual Quilt Weekend. There aren't any rules, work on what you want when you can. Post pictures if possible and let us know what you're working on. I haven't been able to quilt in over 2 weeks as I've had company so first thing I need to do is figure out where I am on the projects I'm working on! I'd love to join in. I plan to put the blocks together to finish my honey, honey quilt, make 120 HST'S for a new project, bind a couple of quilts, and get some table mats layered. 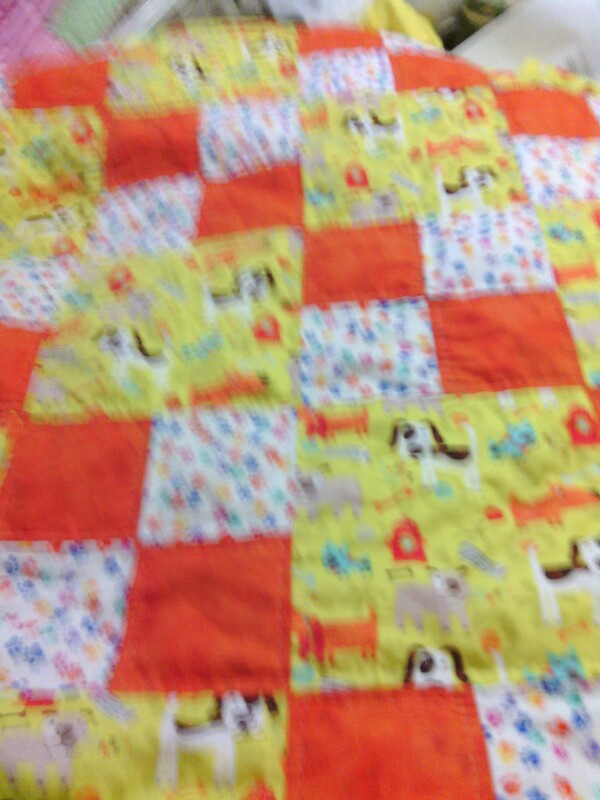 I'll join in, as I was planning to work on grandson #3 (grandchild #4) quilt. Had to piece 190+ flying geese, but am through with that and am sewing blocks now. I have 18 out of 48 done, and should get the other 30 done tomorrow. Then comes the laying out so that no like colors touch. Here are the first 8 blocks. I would like to join this. I have a top done that was an ugly fabric challenge and it's still pretty ugly,but I need to practice my FMQ on something bigger than a mug rug and thought this would be a good one to do that with. I plan on getting it sandwiched today and quilt it this weekend. Problem is half of Sat will be eaten up with a meeting I have to attend...we never get out of there until after noon....and then there is the Mariners game, but I'm going to try and get a healthy start on this quilt! What time are we starting please? 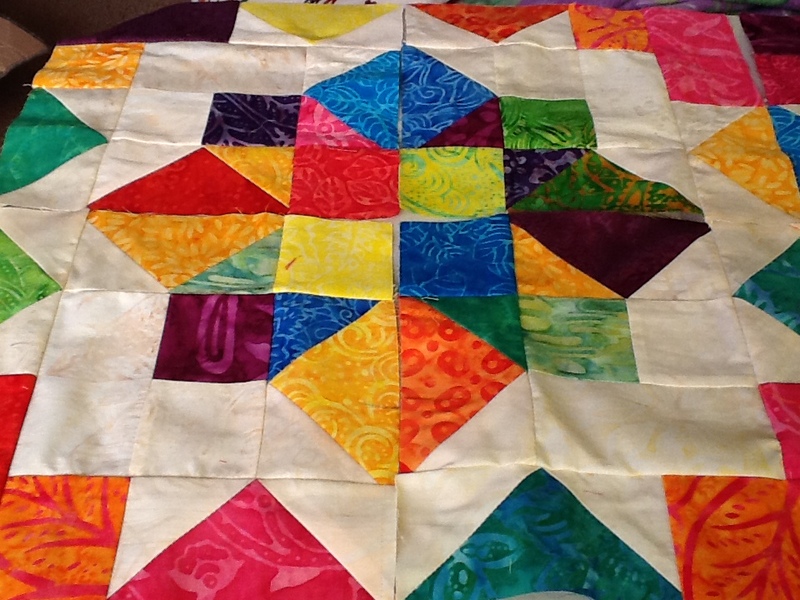 I feel comfortable to "really" start this quilt for a friend (in exchange for her to do some LA ing for me). I made several blocks from my own scraps before even thinking of cutting into her fabric. I have her fabric washed and starched so can start cutting tomorrow. 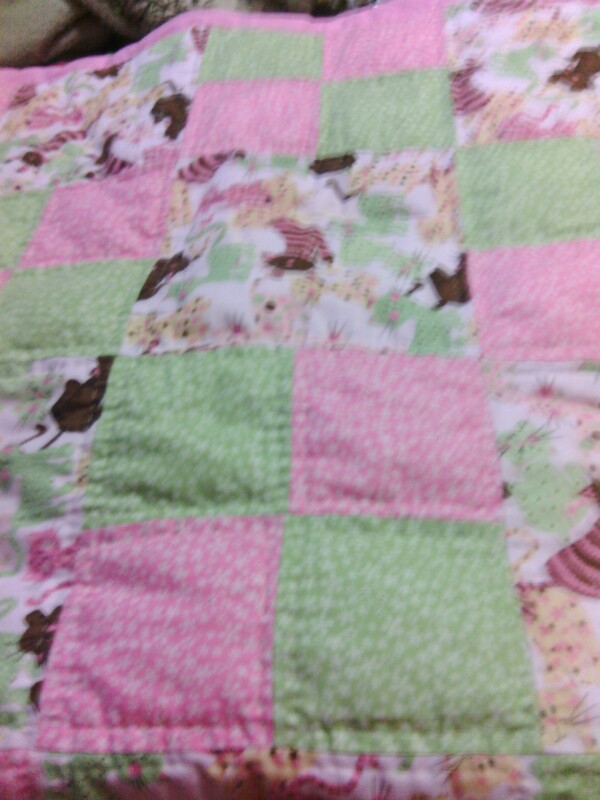 Pretty quilt mckwilter. I even like the "ugly" quilt by shadowirish. I'm joining you now for the weekend. 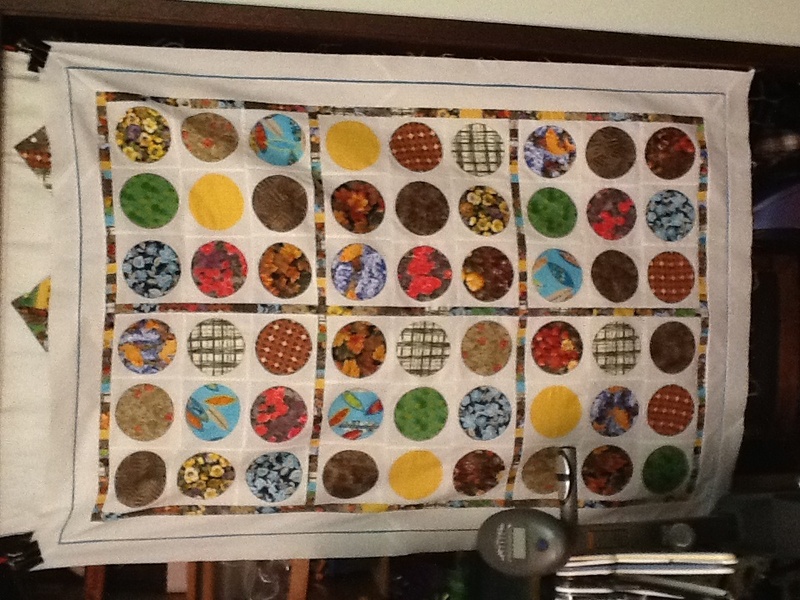 I have a D9P that needs borders and quilting. If I finish that, there's a baby quilt to be quilted, then a postage stamp quilt, then the UFOs. Woohoo! I got it sandwiched....with Elmers. Will be dry for tomorrow! Had picked out backing material but ended up having to piece it. Used some orphan blocks I had made out of leftovers and learned the perils of bias edges....we will see how it quilts up. Hopefully it will be not too bad. sounds like we're off to a good start. See you in the am. Just finished cutting a D9P for a new project..I also have cut the pieces for 2 bow tuck bags, requested by my DD and DGD...matching! I used the smaller size for DD and scaled it down some for GD..Will begin tomorrow cutting the batting for the Bow tucks..See ya'll in the A.M. I'm looking forward to it! I'll check in with y'all sometime in the morning on Sunday. If it isn't raining I might go for take out breakfast first. I guess I have Saturday to decide what I'm going to work on and maybe figure out how to use my webcam to take a picture of whatever that will be. Hope I can join in. Been alternating between my string blocks and my crumb blocks so hoping to get some more of those finished. I will have to see if I can join in too. Up and back from garage sale!! Went to try to find a wheelchair, for the times my walking is limited, but no success. Now on to cutting the batting for 2 Bow Tucks, and work on them..Also cut the pieces last night fer a D9P..hoping to get work done on that tomorrow..Have company coming tomorrow but should be only for the morning...Then back to work! Looking forward to seeing more pictures later, hope to get my BOM done for this forum and BOM for aurifil at some point. Put together some of my string quilt this morning, just have to figure out if I have enough to finish it as a qaug and decide what to use as backing. I have sat for 3 hours although. It felt like all day undoing 2 blocks I had sandwiched and quilted in order to put new tops on tomorrow. I had used a fancy stitch and it was so difficult even my eyes have had enough.see ya all 2morrow. Me too. I'm finishing a bow tuck UFO and hope to start covers for my sewing machines. I cut out the templates For the A, B, C, D, E pieces of the diamonds. 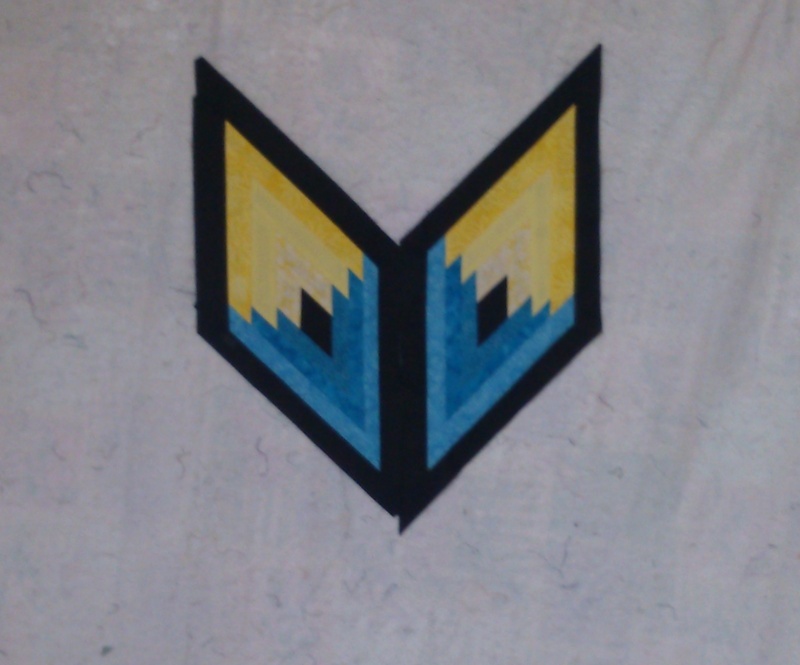 I cut the fabric for the A,B,C pieces. Yikes -- that was it for almost 3 hours work. Oh well... It takes what it takes. Will try to do more tomorrow. Two bow tucks are in progress. cut the batting this morning and got all the way to creating the corners and sewing the liner to the outside..Hoping to be done in the next hour or so....will try to post pics when done..